The crowns of thorns pierced His skull to grant us that redeeming call. Tasted the bitterness of gull for us all. Smashed against sin's wall 'coz of man's fall. All this He did, to bring us into His resting hall. Suffered the loss of the cross to break our curse. Of course! That's why I can say to you congratulations 'coz EASTER is a celebration of Jubilation without confusion or commotion because it is an ordination that has got recommendation from God, since it is the origin of salvation that brought about death's assassination by the deliberation of the Holyghost, to bring about purification, sanctification and the redemption of mankind, to a new destination through Christ's decision to surrender to death before His resurrection and ascension, to a position where He now makes supplication for us with no condition. He deserves our adoration, magnification and glorification 'coz only He was able to provide this portion of solution, to the nation of mankind. Remember, He's the example of perfection to us and has commissioned us to the ministry of reconciliation. 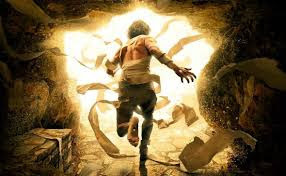 EASTER is the day of self-examination, to see if our reflection portrays Jesus' image, 'coz that's the best way to show that we love and reverence Him as we celebrate the end of condamnation and destruction of mankind back to the place of dominion and authority.